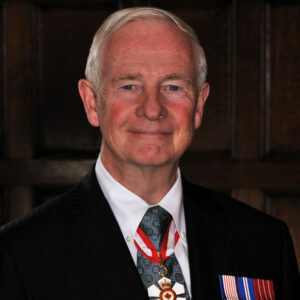 The keynote speech by The Governor General of Canada, His Excellency the Right Honourable David Johnston at the Adoption Council of Canada‘s Urgency Around Permanency Summit. Thank you for inviting me to speak to you about adoption in Canada. This is a subject that is very near and dear to my heart. As you may know, two of my grandchildren were adopted, and we could not imagine our family without their happy, smiling faces! I am pleased to see so many experts in the field here with us today. I am also delighted to see so many young people here, who are participants in the Youth Speak Out program and who have experienced the child welfare system first-hand. You are well aware of the challenges adoption is facing and so I believe that I can be direct with you. We are failing our children. It is a sad fact, and one that we cannot ignore. Every year, thousands of children go without a permanent home, and every year their risk factors multiply. These risks include increased chances for run-ins with the law, living in poverty, mental illness and suicide. Of course, there are some who escape these pitfalls and create a better life for themselves, but too many have gone down a darker path. Families are the heart and soul of our society. They help give children—the next generation—the best start and provide support as they move through life. Strong families help build strong communities, a prosperous economy and a more secure future. Ontarians build their families in different ways. Many use adoption and assisted reproduction services. But barriers like cost, lack of information, system weaknesses, location, work constraints and stigma, prevent many Ontarians from accessing these services and keep many children waiting to be adopted. While there has been some advancement and discussion since this report was released, there is still much to be done. We are experiencing an adoption crisis, one that can be solved only by recognizing and admitting that our system has faults, and then speaking openly about possible solutions. Let me pause here for a moment to add that I don’t wish to blame or lay the responsibility at the feet of any one person or organization. We all share the blame; just as we all share a desire to do better. Today, I would like to focus on three areas in which we should focus our efforts: information gathering, collaboration and, finally, awareness and perception. First, we need to know the exact extent of the problem. • There are approximately 30,000 children and youth legally eligible for adoption in Canada. • 68 % of homeless youth have aged out of the child welfare system without permanent families. • Only 44 % of youth in the child welfare system graduate high school, and only 5 % of those go on to post-secondary education. • 73 % of those who have aged out of the system are unemployed. • 41 % of youth in care have had a run-in with the criminal justice system. • There is a much higher rate of mental illness and suicide attempts among children who enter the system at age five or younger. These statistics are troubling, but they do not paint the entire picture. We know that children do better when they are adopted. This is not new information. In fact, all of us have gathered here because of the great need. When I speak of information gathering, I mean more than simply compiling data on the children who are in the system. We need to find out more details about the child welfare system itself. This is difficult to do. From experience, I know that each provincial and territorial system has its own legal idiosyncrasies when it comes to adoption. What are they, and are they still fair and just? I urged them as a professional obligation to constantly question whether the legal system was keeping pace with our rapidly changing world. And if not, to do something about it. We cannot make the laws, but we can speak out and speak up about injustice. We must also look at the support being offered to children in the system, to those who age out of the system, to foster families and to adoptive parents. It is vital that we maintain our support throughout these children’s lives. Those without permanent homes are already at a disadvantage. It is up to us to ensure that they do not slide any further behind their peers. One way to judge the effectiveness of a system is to compare it with others. We should never shy away from admitting that there are other, perhaps better, ways of doing things. We must learn best practices from other countries, and from organizations across Canada, for the sake of our children. This is where information gathering extends to my next point, which is sharing and collaboration. For argument’s sake, let us say that we now know everything there is to know about adoption in Canada. The next step on the road to helping our children and our youth is for us to work together. All of you here—as well as experts and officials across the country who are not with us here today—know that we are in this together. We cannot solve one community’s problems in isolation. It takes contributions from all sides, as well as an open and honest dialogue, to find solutions to the problems within the system. Collaboration can also have a more immediate effect, by creating a concentrated and stable support system. While raising our five daughters, Sharon and I always relied on the kindness of neighbours and friends to help us through difficult times. And we, in turn, opened our doors to those in need, including friends of our kids who were dealing with issues at home. Today, watching one of my daughters raise two adopted daughters of her own—my granddaughters—I understand how essential a strong network really is. It may sound cliché, but it really does take a village. The kids who are in the system lack such a village, such a support system. Although they do have one, the kids who are in the system need a stronger village, a stronger support system. There are many people in this room and across the country who work tirelessly each and every day on behalf of these children and teens. Some of you were those children in the system, and now you have dedicated yourselves to helping others by helping them navigate the system and advocate for permanency. But given what we know, given the statistics we have, perhaps the system they have is not effective enough. Canadian children who seem to be a permanent fixture in the system need specialized support. But what does that entail? Those who work in the child welfare system cannot do it alone. It takes foster families, government officials, educators, social workers, doctors and many others to provide a child in care the support he or she needs. But it takes more than that. We must not only be involved, but must also communicate with one another and be more aware of what is happening in all areas of that child’s life. This reinforcement can act as a net to catch any overlooked problems and help children avoid the hazards of being in care. We also need to listen to the stories of the young people who grew up in the system and to encourage them to share their stories, just as the youth with us today have done and continue to do. In the end, though, the goal is to find permanent homes for children and young people in care. But we must first deal with the barriers associated with finding these homes, and to do so, we must raise awareness and alter perceptions. We must be careful to manage expectations, while facing the reality of the situation. Many who start the adoption journey do so without knowing the full story. They look to add a baby to their family, and do not consider any other alternative. But, as you know, there are very few newborns available. In fact, the majority of the 30 000 children in Canada’s child welfare system are six years old or older. We need to raise awareness of the rewards of adopting an older child, but there are many stigmas to overcome. There is a myth that older children in the system are unadoptable, that they suffer from mental illness, or get into trouble, or are violent, or too far gone. We know, however, that this is simply not true. These false perceptions not only prevent children from being adopted, but they also push these young people onto the very path that people expect them to be on. Older children in the system, like all children and young people, need the structure and love of a permanent home. Adopting an older child does present its own set of challenges, but people should not be deterred. For you in this room, your job is to find parents willing to accept an older child with loving and open arms. And perhaps we can acknowledge that not everyone is. It takes a special kind of family to do so, and we need to do a better job of finding them, of drawing them out and of showing them that they have wonderful gifts to offer our children. There are too many kids out there who are invisible, who are growing up without hope and without any place to call home. Young people, as evidenced here, have started to speak up. It is up to all of us to add our voices to theirs. We must fight for their rights to live as any other child in Canada does. If not you, I ask, then who? If not now, then when? There are still big questions concerning the success of adoption in this country. But the answers will not come from me, and nor should they. They should come from you and from your colleagues across the country. They should come from young people with first-hand knowledge of the child welfare system. And they should come from dedicated Canadians, working together to find solutions and to dispel false notions. In conclusion, I would like to thank you for all that you do. Thank you to all the experts; thank you to all the foster parents who are making a difference; and thank you to all the youth who are sharing their experiences. You have come here to Ottawa because you know how serious this situation really is. And so I implore you to take what you learn here back home with you, to engage with others in your community and in your province or territory, and to participate in a national dialogue on this important issue. And I encourage you to act, as soon as possible, because every day that we wait, every day that we delay, another child suffers the consequence. As I look around the room, I know the future of adoption is in good hands. Your commitment and devotion will go a long way to making the lives of those in care better and to making our country a more compassionate place in which to live. This is a copy of the keynote address by The Governor General of Canada, His Excellency the Right Honourable David Johnston at the Adoption Council of Canada’s Urgency around Permanency: A Stakeholder’s Summit, November 5, 2014, in Ottawa. To find out more about what you can do to help find permanency for the 30,000 children and youth in government care in Canada, visit the Adoption Council of Canada website.